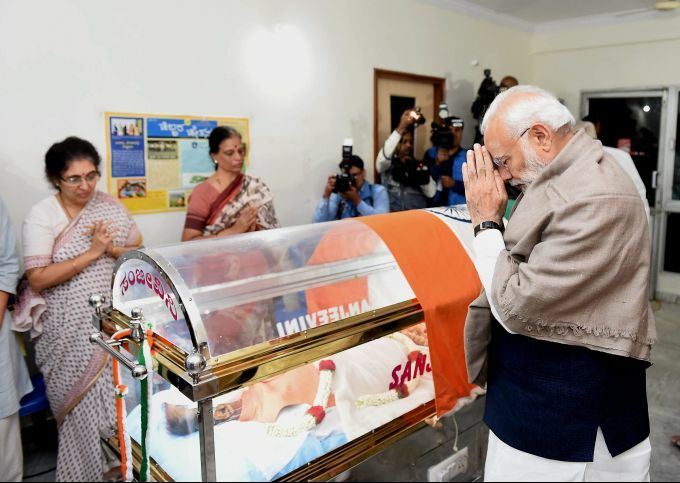 Bengaluru: Prime Minister Narendra Modi pays his last respects to Union Parliamentary Affairs Minister Ananth Kumar in Bengaluru, Monday, Nov 12, 2018. Kumar, 59, passed away in Bengaluru early Monday morning after battling lung cancer for several months. 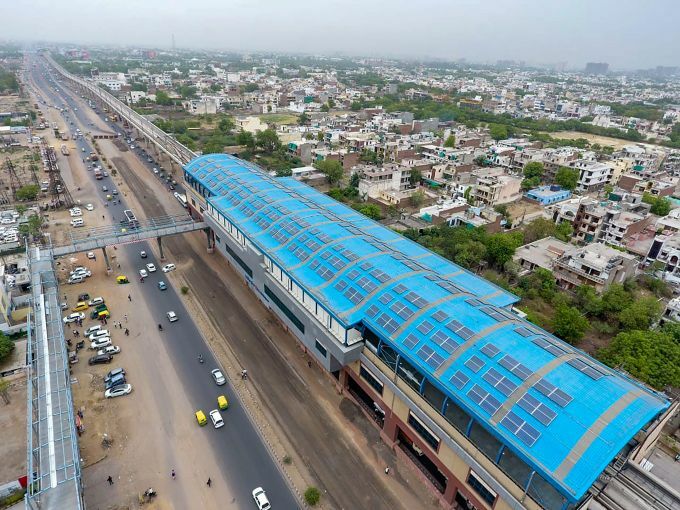 Noida: A grapic representation of solar power panels to be installed on 21 stations and parkings of the Noida-Greater Noida Metro Rail corridor, in Noida, Monday, Nov 12, 2018. 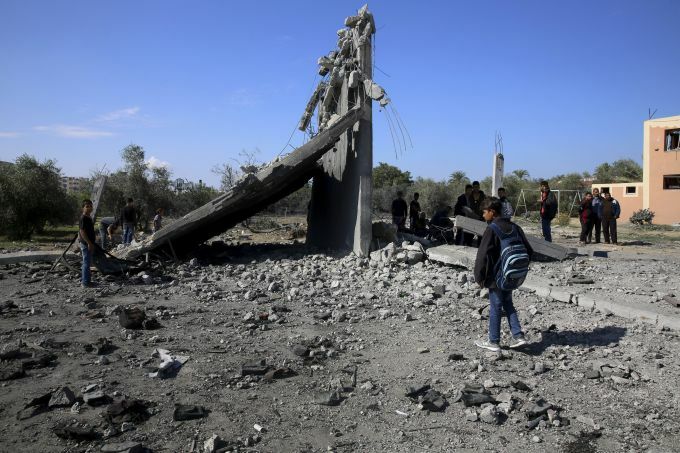 Khan Younis: Palestinians inspect the damage from an Israeli raid that killed seven Hamas Palestinian militants, including a local Hamas commander, late Sunday, east of Khan Younis, southern Gaza Strip, Monday, Nov. 12, 2018. An Israeli army officer was also killed in the clashes. The fighting came just days after Israel and Hamas reached indirect deals, backed by Qatar and Egypt, to allow cash and fuel into Gaza. 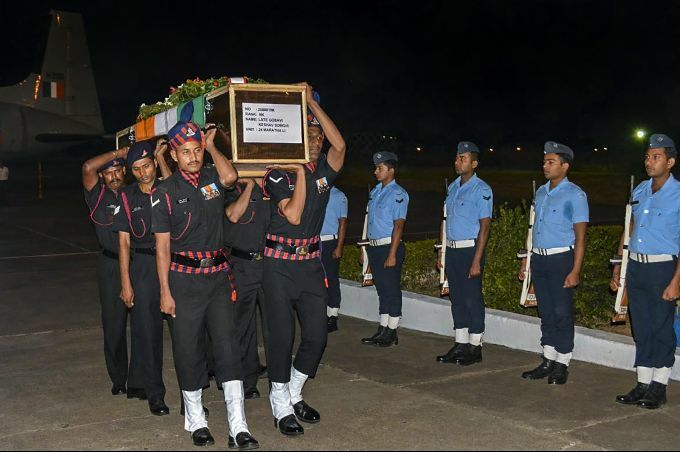 Nashik: Army personnel carry the mortal remains of Naik Keshav Somgir Gosavi, who was killed by a Pakistani sniper in Jammu and Kashmir arrive for last rites at his native place, in Nashik, Monday, Nov 12, 2018. 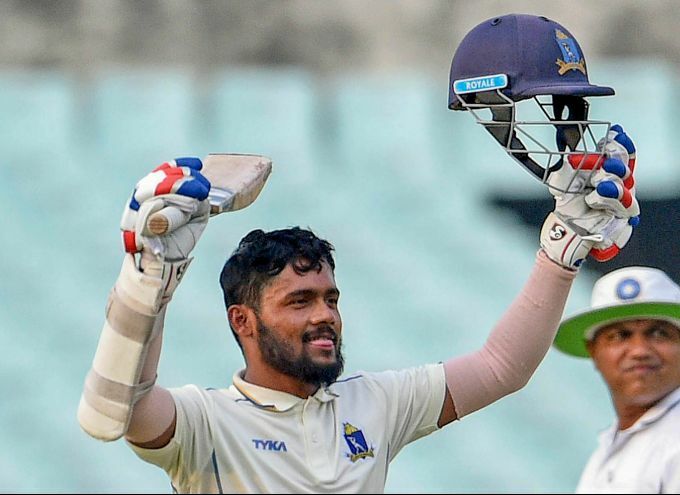 Kolkata: Bengal batsman Kaushik Ghosh celebrates his century during Ranji Trophy match against Madhya Pradesh, at Eden Garden in Kolkata, Monday, Nov 12, 2018.